The UK government has issued an export bar for JMW Turner’s ‘Walton Bridges’, valued at £3.4m. Joseph Mallord William Turner's oil on canvas 'Walton Bridges', believed to have been painted in 1806, sold at auction in July 2018 for £3.4m and is now temporarily barred from export from the UK. Following an application for an export licence by its owner after buying it at auction in July 2018, the Department for Digital, Culture, Media and Sport (DCMS) announced it should be temporarily blocked from leaving the country in the hope a buyer can be found to pay the £3.4m price and keep it in the UK. The government made the decision after the Reviewing Committee on the Export of Works of Art and Objects of Cultural Interest (RCEWA) deemed it of “outstanding aesthetic importance and has an outstanding significance to the study of Turner (1775-1851)...”. Michael Ellis, minister for arts, heritage and tourism, said it was of “significance for artistic and historical reasons”. 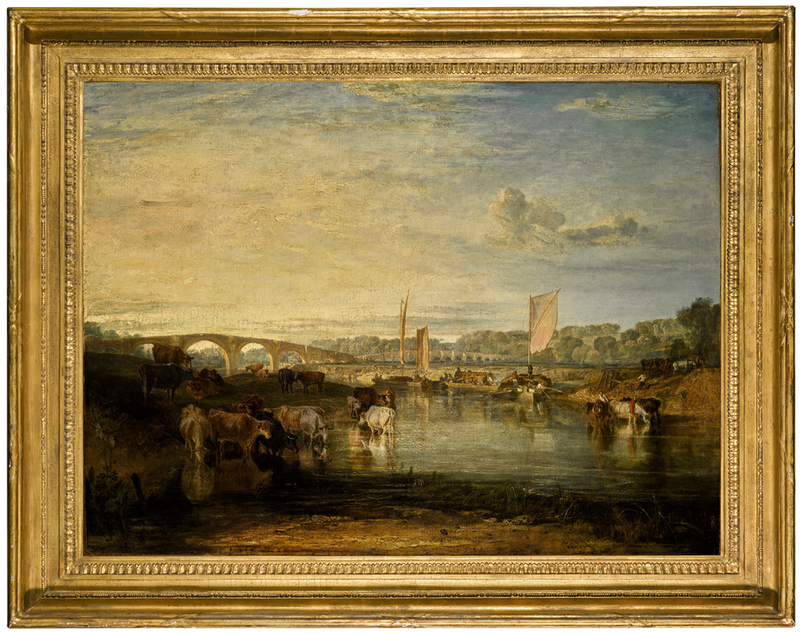 The oil on canvas Walton Bridges, believed to have been painted in 1806, is understood to be the first Turner completed in the open air and followed his move to Sion Ferry House in Isleworth in 1804/5. It shows the double-span bridge that ran across the River Thames between the locks at Sunbury and Shepperton in Surrey. It had been erected in 1788 to replace a wooden structure, depicted by Canaletto, which had fallen into decay. This picture had previously been owned by several major collectors and held the auction record for a Turner painting three times in the 19th century. Turner sold it in 1807 to Sir John Leicester – the leading collector of British art who subsequently put it on public exhibition. It was later acquired by other major collectors including Thomas Wright, Joseph Gillott and Lord Wantage, who loaned it to Oxford’s Ashmolean Museum between 1997 and 2017. It was then sold from the collection of Brigadier General Robert Loyd-Lindsay, 1st Baron Wantage, at Sotheby’s July 4 2018 Old Master evening sale for a buyer’s premium-inclusive £3.37m. Lowell Libson, a member of the RCEWA (administered by The Arts Council), said: “This beautiful evocation of the unusual and picturesque double bridge crossing the Thames by the market town of Walton was made at a time when Turner was mostly living at nearby Isleworth rather than in London. At that time, around 1806, Turner was frequently sketching in oil, watercolour or pencil from a boat which he rowed along this stretch of the Thames. The decision on the export licence application will be deferred until February 2019 and could be extended until June 2019, if a serious intention to raise funds to purchase it is made.